What Is an ABR File? 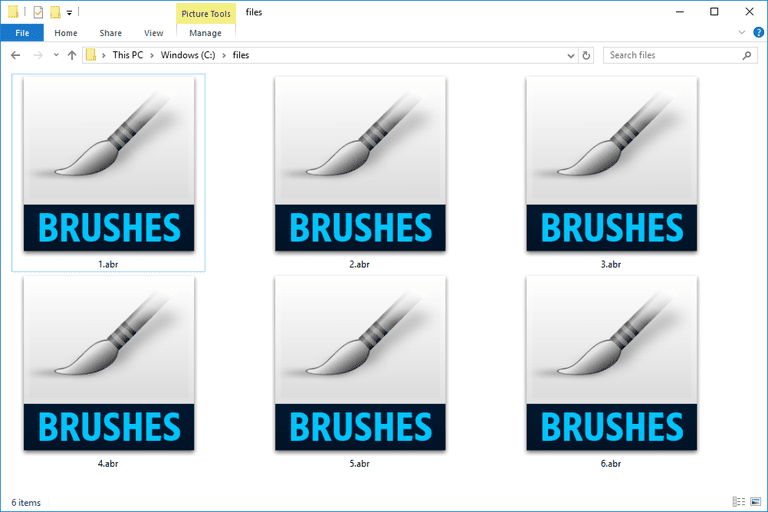 A file with the ABR file extension is a Photoshop Brush file that stores information about the shape and texture of one or more brushes. ABR files are used through Photoshop's Brush tool. By default, these files are stored in Photoshop's installation folder under ...\Presets\Brushes\. You can not only create your own ABR files but also download free Photoshop brushes online. ABR files can be opened and used with Adobe Photoshop from the Edit > Presets > Preset Manager... menu item. Choose Brushes as the Preset Type and then click Load... to select the ABR file. GIMP is another free image editor that can use ABR files. Just copy the ABR file to the right folder so that GIMP can see it. On our installation of GIMP (yours may be slightly different), the folder is here: C:\Program Files\GIMP 2\share\gimp\2.0\brushes\Basic\. You can also open ABR files with Tumasoft's Argus or for free with abrViewer, but these programs only let you see a preview of what the brush looks like - they don't actually let you use it. It's easy to confuse the ABR file extension with the ABW, ABF (Adobe Binary Screen Font), or ABS (Absolute Database) extension. If you can't open your file with the programs we mentioned above, you might be confusing a different file format with a Photoshop Brush file. If you find that an application on your PC does try to open the ABR file but it's the wrong application or if you would rather have another installed program open ABR files, see our How to Change the Default Program for a Specific File Extension guide for making that change in Windows. Though there probably isn't much of a need to do it, abrMate is a free application that can convert ABR files to PNG image files, so long as the ABR files were made in Photoshop CS5 or older. Once the ABR file is in the PNG format, you can use a free image converter to convert the PNG file to JPG or some other format. You can also convert a GIMP Brush file (.GBR) to a Photoshop Brush file so that a brush file made under GIMP can be used with Photoshop, but it's not as streamlined as most file conversions.